The Type v model is offered in two different body styles, both with heat exchanger PID temperature control technology. Temperature control is optimised through a PID controller drawing on 4 different signal parameters to ensure stability and optimum results in the cup. An adjustable temperature display allows the user to select individual brewing temperatures for different coffee types and roast styles. 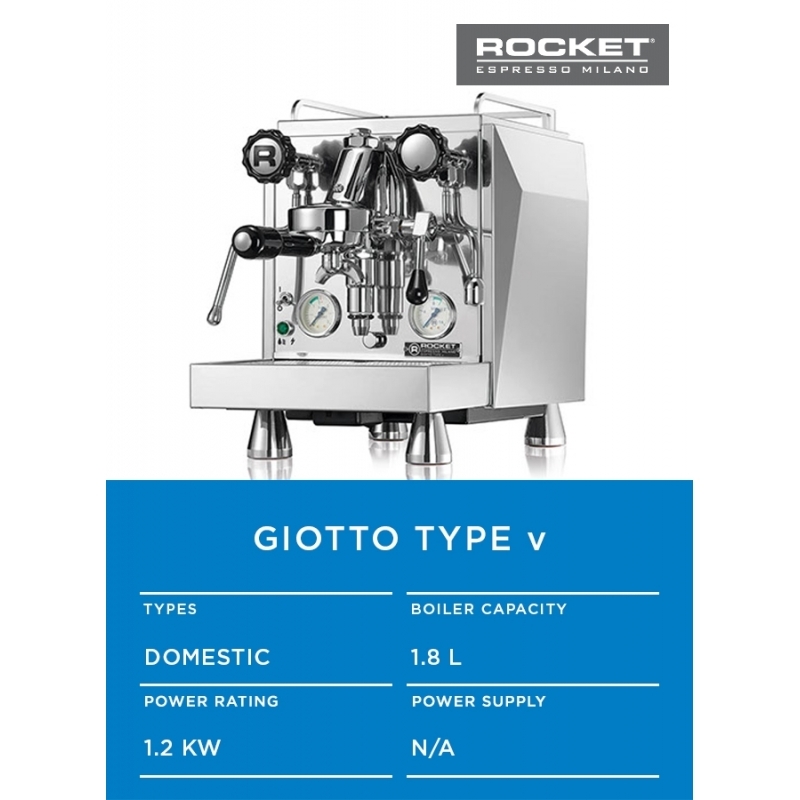 The Giotto and Mozzafiato Type V machines introduce users to the Rocket Espresso movement for better espresso in the home without compromise.